Costa Rica's government declared a state of emergency, closing schools and all other non-essential services. San Jose: Tropical Storm Nate unleashed intense rainfall across much of Central America on Thursday, leaving at least three dead in Costa Rica and several missing in neighboring Nicaragua, according to local officials. Exxon Mobil Corp said it is evacuating all staff from its Lena platform in the US Gulf of Mexico ahead of Nate, which is expected to strengthen into a hurricane and make landfall on the Louisiana coast early Sunday. Nate was about 30 miles (48 km) northwest of Puerto Cabezas, Nicaragua, on Thursday and moving northwest at a speed of 9 mph (15 kmh), according to the Miami-based National Hurricane Center. The storm had maximum sustained winds of 40 mph (64 kmh). Costa Rica's government declared a state of emergency, closing schools and all other non-essential services while emergency officials reported three killed due to the heavy rains, including one child. Highways were closed due to mudslides and power outages were also reported in parts of Costa Rica, where authorities deployed more than 3,500 soldiers to help residents. In Nicaragua, three people have been reported missing and schools also shut due to the rainfall. Some 800 people were evacuated from Cayos Misquitos located off the country's Caribbean coast. "The center of Nate should move across northeastern Nicaragua and eastern Honduras today and then over the northwestern Caribbean Sea tonight and Friday," the NHC said. 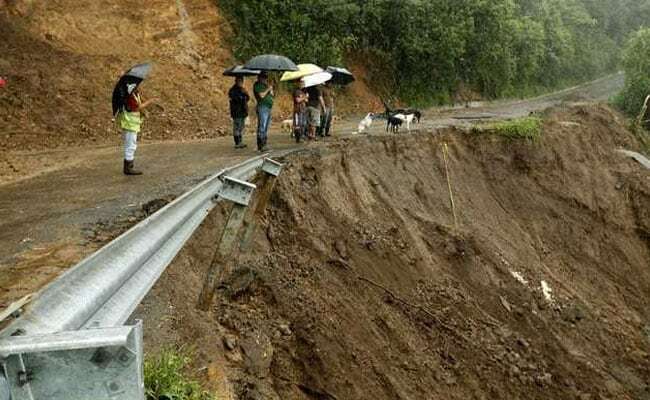 At least six people died in bad weather last weekend in Panama after a landslide struck near the border with Costa Rica, while another six lives were lost in El Salvador last week, according to civil protection officials in each country. Since the hurricane season began in May, Honduras has been the region's hardest hit country with at least 32 dead followed by Guatemala with 26 deaths.